We have a well stocked hire department and we can tailor specific items to your needs, drop them to you and pack them up and take them away when your finished. 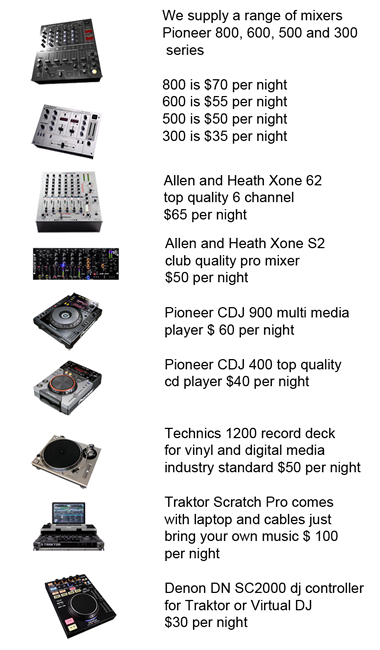 Powered speakers from $35 a night to $65 for a 1000 watt model. 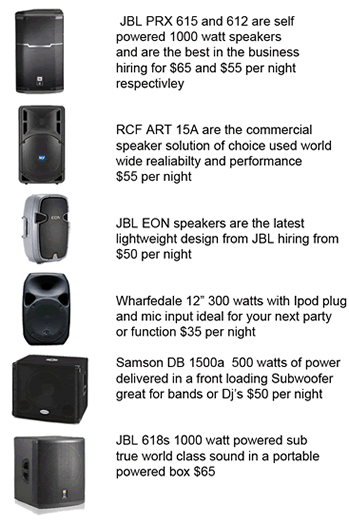 JBL, RCF and Wharfedale D class speakers with DSP. 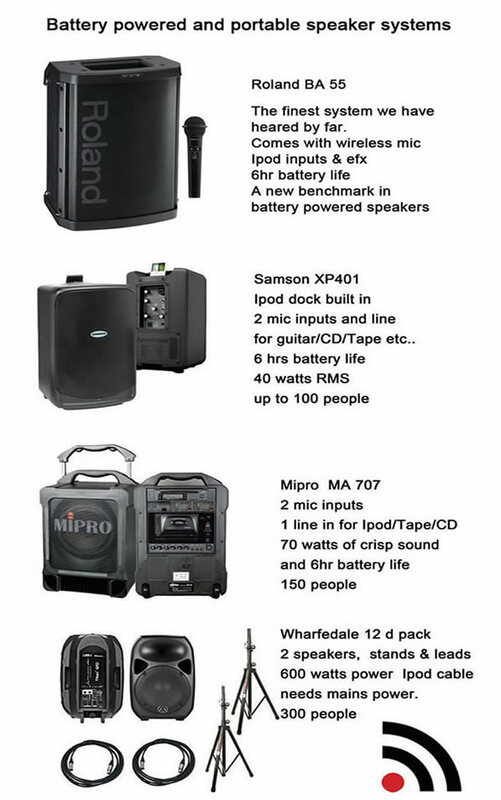 These are the latest technology offering massive improvements over any other brand the sound is 24bit and has changed the hire market completley call now to book the best! 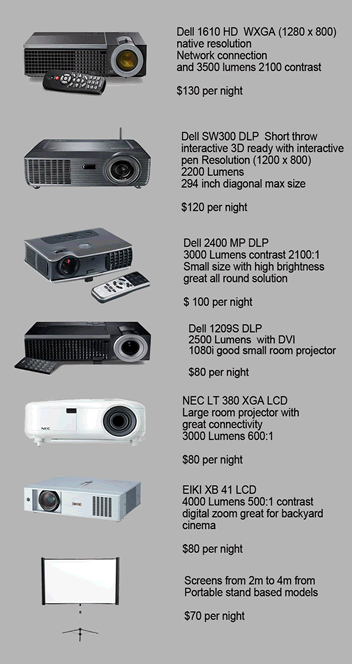 Projectors 4000 lumen Models from $80 per night to a Hi Def 16:10 model at $100, also Short throw available. Wireless microphones Shure and Mipro microphones are the world standard available from $50 a night with various configurations including lapel ready to go. Wedding sound hire we hire lights sound and portable speakers for your wedding with our partner AVA party hire taking care of your infastructure, tables, chairs, marquees and cutlery.